Things I have found while researching! Well I've finally done it......I've moved this blog to the backup site. I've thought about it for a long time even ask you, my loving readers, opinions and now I have decided to act on the thought. I will still leave this site up, but I will not add any more content to it. 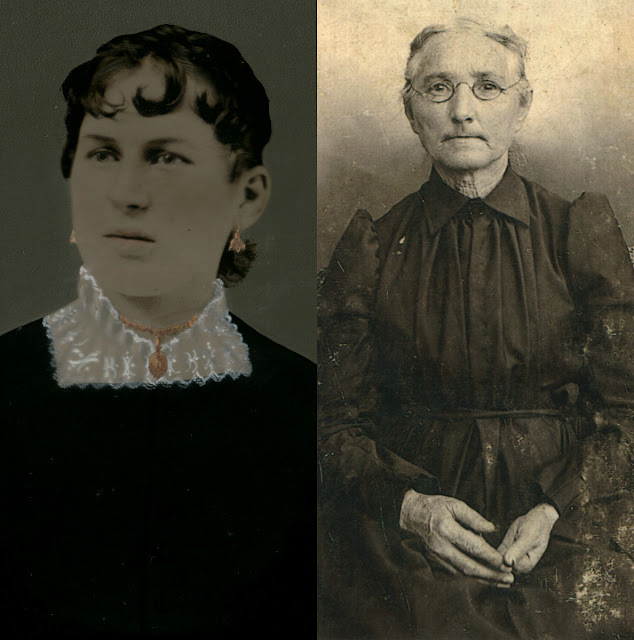 My paternal grandmother, Minnie Frances Shofner, was born on this date in 1915 in Allendale, Green County, Kentucky. SOOO thanks to my public school education I know she would have been 100 years old today. Ok I know I've asked you my dear readers to give opinions on family pictures the last couple of blog postings, but I really do value your thoughts and ideas. So here's another chance for you all to give me your 2 cents. I have a wonderful picture of a young woman only recently found in family pictures. Of course there is no label or pencil marking(s) stating or hinting at her identity. The longer I look at them the more I think they look alike. I will refrain from stating my opinion of their similarities so see what you all come up with. As always thank you all so much for taking the time to read and comment on this blog of mine. Wishing everyone a happy Veteran's day. I found this clipping that my maternal grandmother, Gussie (DeSpain) Munday had posted in the newspaper. It is about how she (and probably the family) felt about her son, William L Munday, being in Germany and the war. I have a mystery that needs solving and I hope you all can help with it. Are these two men the same person? 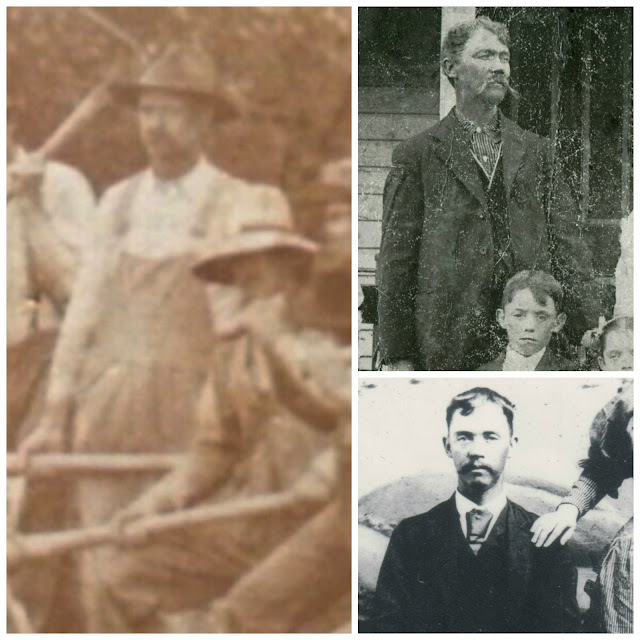 The two men on the right are the same person, he is my paternal great-grandfather, Simon P Tharp. The man on the left is found in a picture from a circa 1911 Road Construction I have recently come across. I will hold my thoughts until I get some feedback from some of you. The two men on the right are my great-grandfather, Simon P Tharp. The man on the left is the suspected Simon.